New Video Series Demystifies All Areas Of cPanel Allowing You To Excel And Grow Your Business Like Never Before! This video series will show you an in depth view of the features that Cpanel provides and shows you how you can take your website to the next level and protect your business. This video series is packed with 11 videos and 3 bonus videos on quick cPanel shortcuts that will save you time, but high quality and detailed content that you’ll be able to use for years to come. 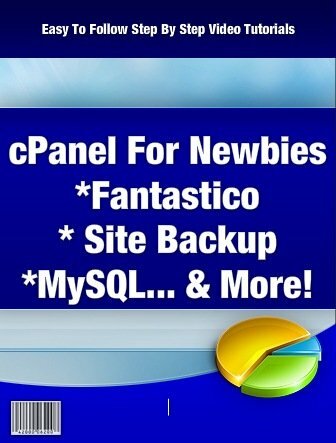 Not all cPanel users are aware of this feature and often overlook this. We’ll cover how to create mySQL database & insert table in mysql database into another domain using PHPMyAdmin. You’ll learn different features of Awstats that can help you increase your website traffic. Fantastico is popular suite of software scripts that may fit many aspects of your business, such as blogs, bulletin boards, support helpdesks, and more. Learn how to redirect traffic from your error pages back to your main site. Learn how to turn your indexes off and protect your website. Cronjobs are used to automate different tasks. You’ll understand cronjobs in a better light and how to use them. Learn how to tell cPanel to authenticate all the emails that are coming out of your domain as legitimate emails. Video #10 – Backup / Restore Your Website! But that’s not it! We’ve created 3 bonus videos! Bonus #1 – Server To Server Transfer! Bonus #2- Blocking Unwanted Users!